FAA’s Aeronautical Information Services – AJV-5 group contracted with AerioNavData to update the form generator application that is used to create FAA 8260-10 forms for Standard Instrument Approach Procedures (SIAPs). The upgrade is necessary in order to allow the creation of forms for Standard Instrument Departures (SIDs) and Standard Terminal Arrival Routes (STARs). 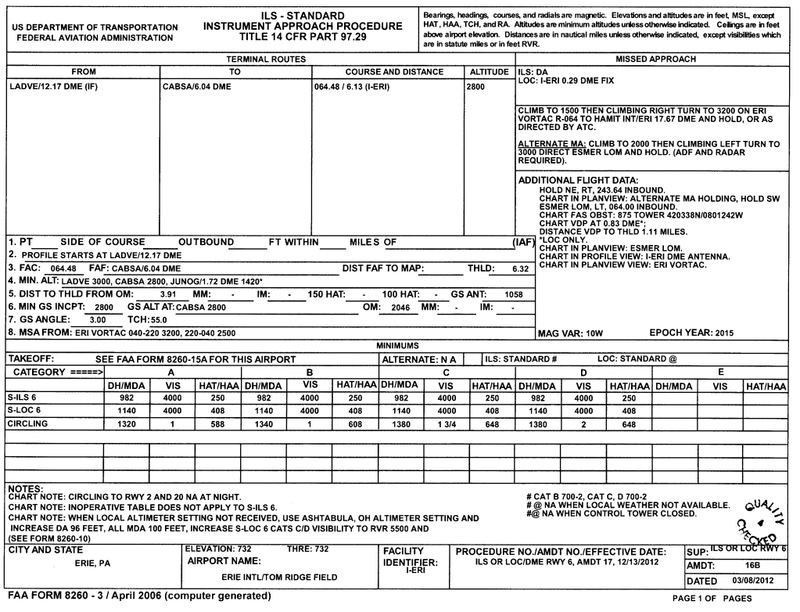 Before this request, the FAA 8260-10 form was needed because the flight check process included only SIAPs. Our Flight Check team’s responsibilities were increased to include SIDs and STARs and this required the creation of FAA 8260-15C forms for SIDs and FAA 7100-3 forms for STARs. The challenge was to develop the capability to produce FAA 7100 and 8260 forms from an ARINC 424 Per-Procedure-Packet (P3). 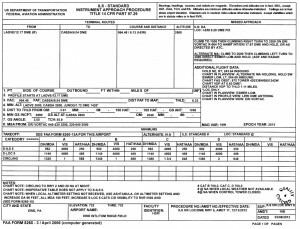 FAA form 8260-10 was generated for all Standard Instrument Approach Procedures (SIAPs), FAA Form 8260-15C for all Standard Instrument Departures (SIDs), and FAA Form 7100-3 form for all Standard Terminal Arrival Routes (STARs). The technical solution required the capability to generate three different forms from one source. This was accomplished by AeroNavData by our modification of the 8260-10 Creator Tool currently being used to enable the extraction of aeronautical terminal procedure data from ARINC 424 P3 Packet and auto-generate a fill-able PDF form that emulates the format and content of the current FAA 8260-15C and 7100-3/-4 forms. The tool name was changed from “8260-10 Creator” to “ARINC Form Generator“. We have the capability to produce FAA 7100 and 8260 forms from an ARINC 424 Per-Procedure-Packet (P3): FAA form 8260-10 for all Standard Instrument Approach Procedures (SIAPs), FAA form 8260-15C for all Standard Instrument Departures (SIDs), and FAA Form 7100-3 form for all Standard Terminal Arrival Routes (STARs).